Just a reminder to everyone – our Clayton venue is closed for the duration of the Summer Holidays, so this week (Mon 14th July 2014) was the last training night for a while! For those dedicated individuals – we can use our match venue in Fenton for training over the summer. If anyone wants to arrange a session on a Monday, please get in touch with Phil Barnish, Andy Smith or Mark Turner to sort something out. The Stone League End of Season Championships resulted in another bumper turn out with 9 Penkhull players in attendance. In the Individual K.O event Lewis Cadden, Andy Smith, Phil Barnish and Rob Rhodes progressed to the Quarter Finals from their groups. 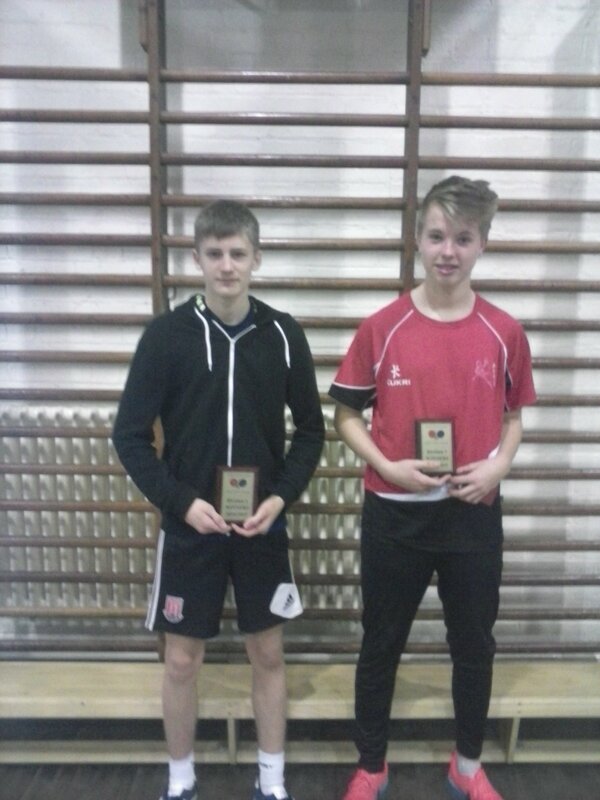 Andy Smith beat Lewis Cadden to reach the Semi Finals whilst Phil Barnish also progressed. 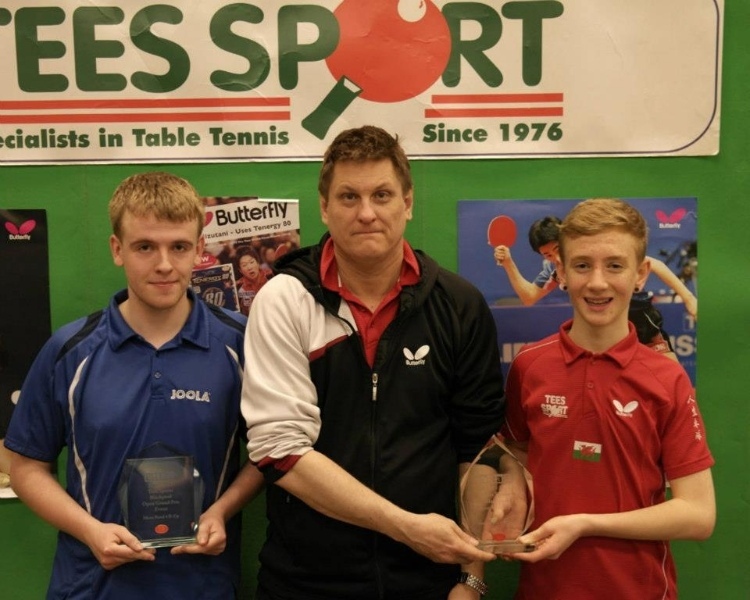 Andy Smith lost a 5 set thriller to the tournament runner up while Phil Barnish took his first Stone league title with a dominant performance in the final. Penkhull had three juniors taking part with Kingsley Barber, Will Pugh and recently returned from injury Torrin Cooper performing well on the night. In the Handicap event Ian Moore (Star) avenged his Semi Final defeat to Phil to win the Handicap event against Tennis B’s Peter Harrison. Penkhull’s Phil Barnish again was the best of the Penkhull players making it to the Semi Finals with Rhodes and Smith reaching the Quarters. 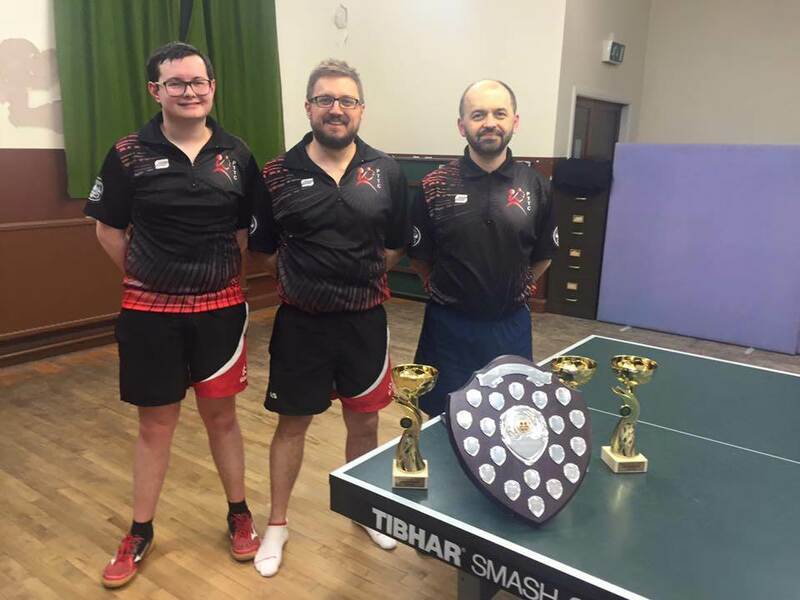 Table Tennis legend Desmond Douglas believes that more and more table tennis clubs should be following the example set by PenkhullTTC’s open day in their attempt to get more people into the sport. On Saturday March 29th the former Olympian and 11 time English National Champion attended the club’s open day as a special guest, hoping to pass on some valuable advice to attendees. “It’s not something I would normally do. I usually coach in the regional areas at a slightly higher level. 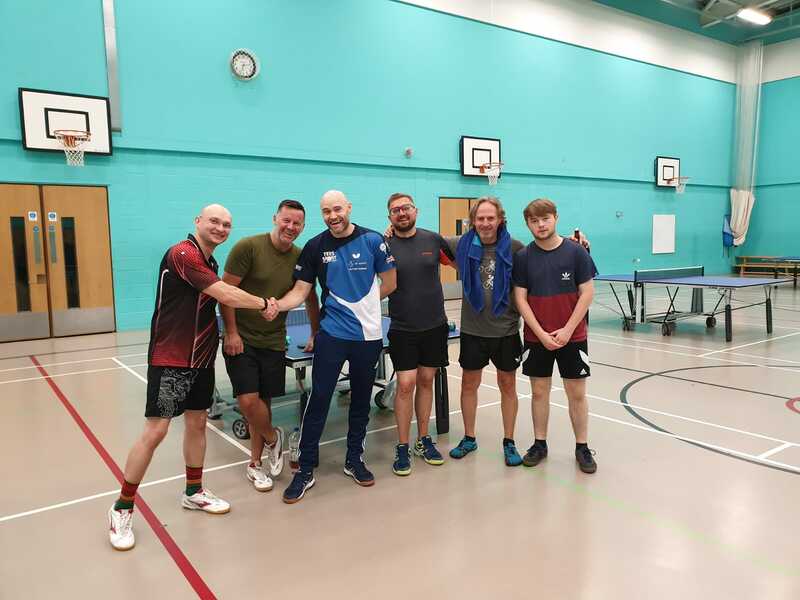 “Though without a doubt, I think you need more open days and events like this one to show people that table tennis is a fantastic sport and that they should come along and see if they enjoy it.” He added. “You can never really tell whether how an open day is going to go when you consider there may be some other activities going on in the area, but I think the turnout has been pretty good, and I think it’s been quite a good day. Douglas took part in a demonstration session at the beginning of the day where he went through a number of playing techniques and then held a number of one on one sessions with both kids and adults. “Table Tennis is a fantastic sport, anybody from any sort of background can come along and just try it if they haven’t already. 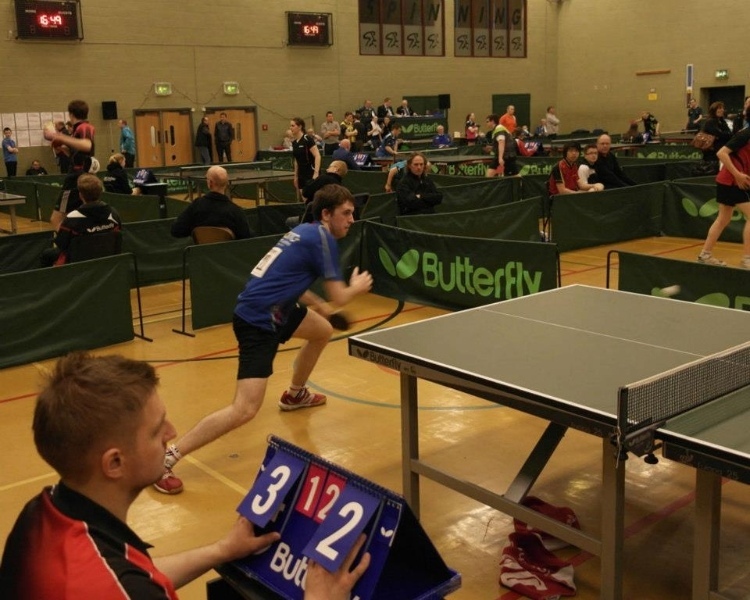 Penkhull Table Tennis Club are holding an open day on March 29th, as they aim to encourage more youngsters to play table tennis and boost the sport’s popularity within Staffordshire. The open day will be held at the club’s home venue, Clayton Business and Language College and take place between 10am and 1pm. On the day, a number of the club’s coaches will be offering helpful playing tips as well as running various fun games for attendees to play. To round off the event, there will also be a tournament for attendants to enter and put into practise the skills they’ve learnt from the day. Penkhull TTC are also excited to announce that 11 time English Table Tennis Champion and former Olympian Desmond Douglas will be attending the event. 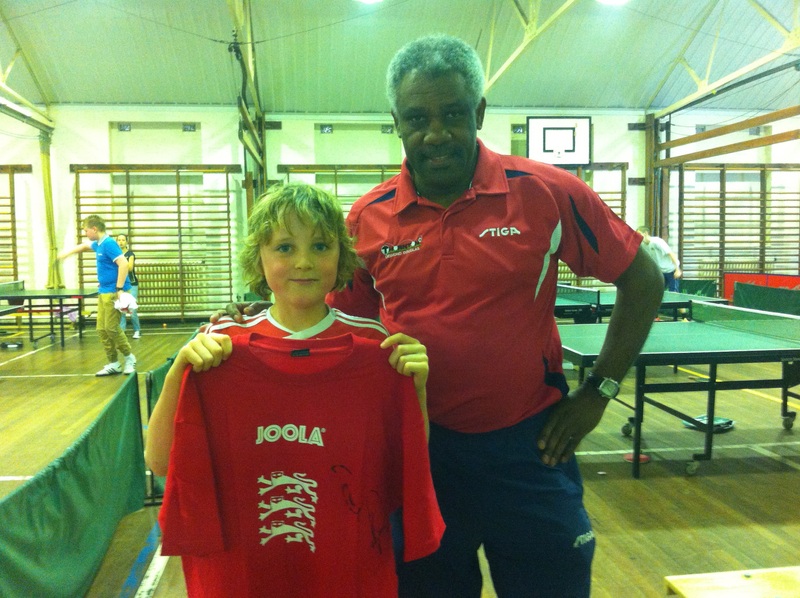 Since Desmond’s retirement, he has continued his involvement in table tennis, coaching throughout the country and training some of England’s most exciting prospects. Following the club’s move to their new venue in November 2013, they have been trying to boost membership numbers over the past few months. “When we moved to the venue we are at now, we lost quite a lot of members and most of them were juniors.” He said. “This open day will hopefully attract more youngsters to pick up a paddle and play table tennis and hopefully continue playing with club. “Whilst we’d love to get more junior members, if we can get more kids playing table tennis and getting involved in the sport then it will have been a success.” He added. The English Table Tennis Association is fully supportive of the club’s open day and is providing an array of equipment for the club to use. They are also offering up some freebies for those that attend and providing a number of prizes for the tournament. 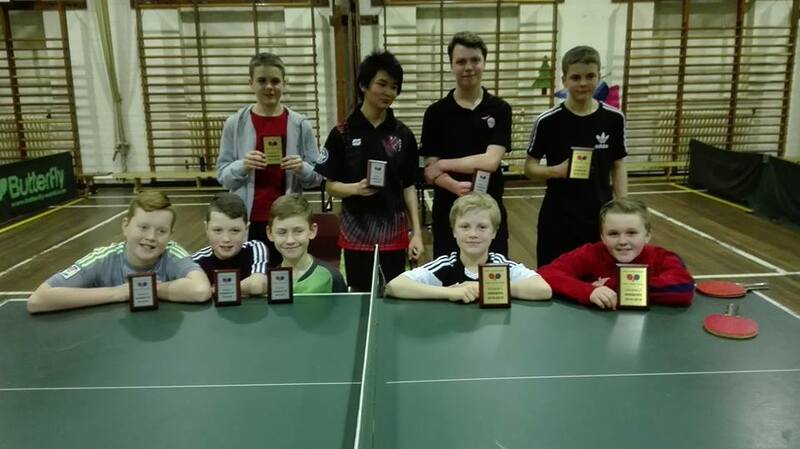 “It will be a fantastic occasion, and it will be great to see the profile of table tennis grow as a result of PenkhullTTC’s open day. 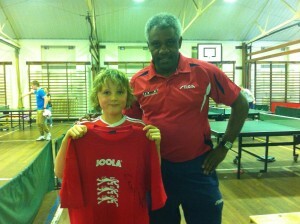 “Table Tennis is a sport that can be played by anyone of any age, but it will good to see more youngsters get involved. 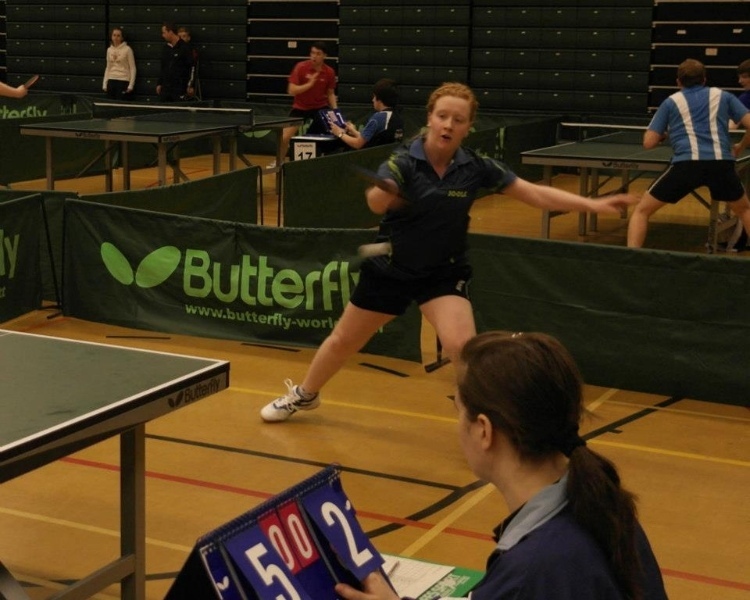 The 2014 Staffordshire County Senior Championships will be held on Sunday 23rd February, at Wood Green Sports Centre in Wednesbury. Closing date for entries is the 10th February, so get cracking! Click the link below for the entry form! Divsion 1 looks like Penkhull A making a getaway at the top, with a slight lead over the chasing pack, but Bradwell A and B, Clayton A and Norton are all still in the hunt. In Division 2, Bradwell C and D are sandwiched between Clayton D and Clayton F, and it looks like they will play out the season final session. Elsewhere in Division 2 it’s close between the rest with some very tight matches. Reminder that the next session is Saturday 11th January 2014 – can we encourage all players to be there by 10am so we can get started asap. The next session for Division 2 will see the tables frozen at the end of play and then ranked 1-9 for the playoffs for the last sessions in February. 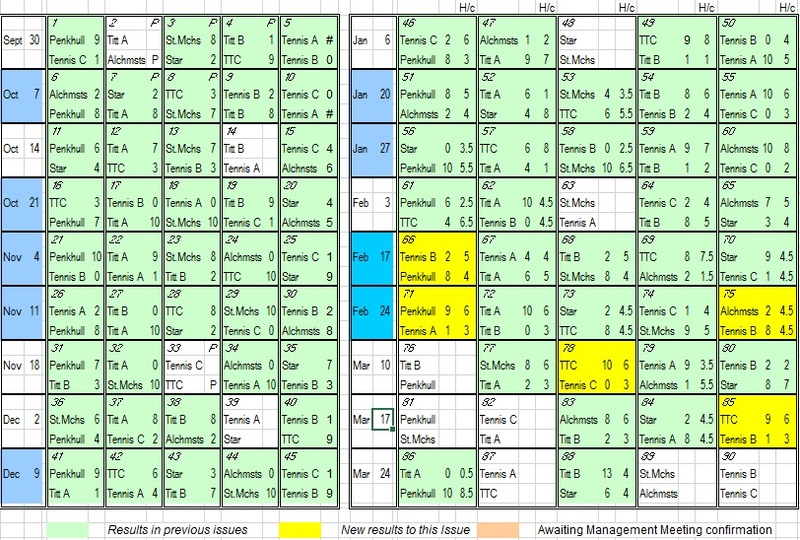 Division 1 will see teams play each other on the reverse fixtures (all teams play each other twice for final positions). 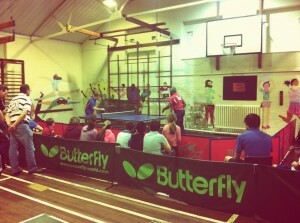 Thanks to those who helped out at session 2. Considering the time of year we had a great turnout and an almost full compliment of teams in attendance. And here are the player averages for the Stone League so far. Use the search and sorting functions to find the team or player you are looking for! Here are the current standings in the main Stone League. Penkhull are off to a good start! Let’s keep the run going! 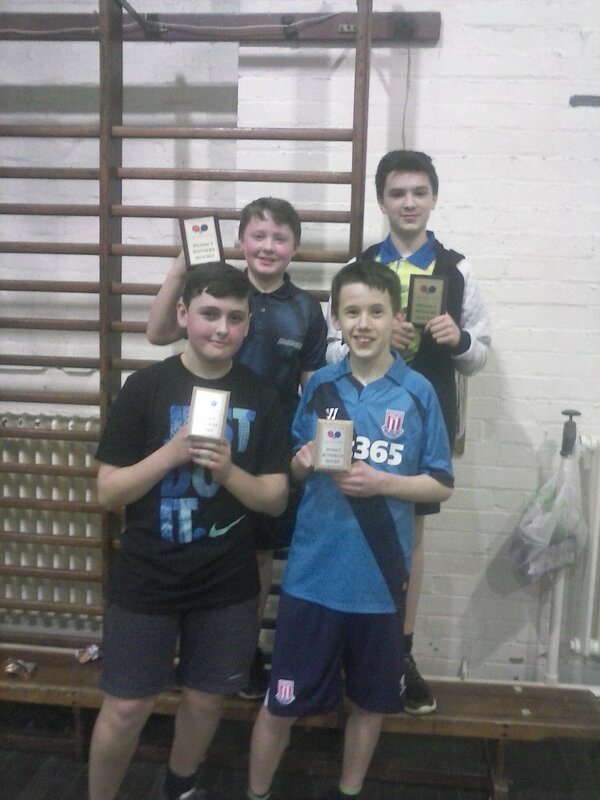 The results of Session 1 of the North Staffs Junior League are in, and the current league tables are now available to view in the Junior League Tables section. 38 players attended, and 16 teams represented 4 clubs across 2 divisions. There was a great standard on show across both divisions! Many thanks to all those who gave their time up to help the league get off to a successful start.